I am perfect. Imperfectly perfect. I have my quirks and there are things that I do that drive my friends, family and employees nuts. But in my own way, I am perfect. While that is a bold statement, it is my imperfections that make me perfect and unique. 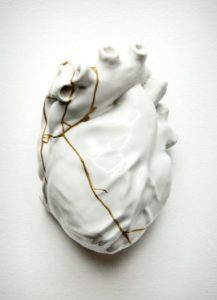 Kintsugi is the Japanese art of fixing broken pottery with lacquer that is mixed with gold, silver or platinum. This breakage in the pottery is part of it’s history, the once perfect piece of is now imperfect. There is no attempt to hide the imperfections. They are actually made to be even more visible. In fact, the ceramic may be more exquisite than its previous version. In many cases, it also becomes more valuable. This is also true of us as human beings. Our imperfections are what make us unique so embrace your imperfections and challenges. No two people are alike. We all have our quirks and challenges. The trick is to be able to find a way to fix them and come out stronger than before. Our history, however hard or easy it may be, is what molds us and what makes us what we truly are: perfection. If something is broken, fix it and come out stronger.